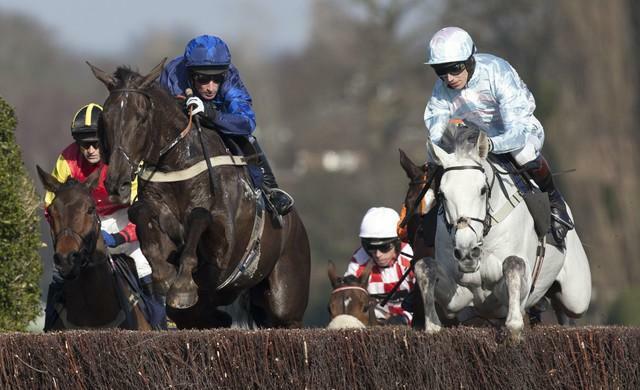 "He was a good fifth in the EBF Novices’ Final here when last seen and looks a cracking chaser in the making." The race that Enola Gay contested last time was a fair bit more competitive than the events that both Cap St Vincent and Clondaw Westie have landed whilst racking up multiple wins so, while that prolific pair are regarded as big players, the first-named could be the one to come out on top if his jumping is a little more assured. An intriguing race. Il Re di Nessuno reached a useful level on the Flat in Italy and is selected to make a winning British/hurdling debut for a yard that often introduces its nicer types at this venue. Deniliquin and Torpillo are equally interesting though, setting out for leading connections, having both made successful hurdling debuts in France. A race that should throw up a heap of winners over fences and Turtle Wars is selected to make a successful start in this sphere. He was a good fifth in the EBF Novices' Final here when last seen and looks a cracking chaser in the making. Stablemate The Bottom Bar is of firm interest also, along with Fontwell-winner Glen Rocco and Magoo. Down The Highway created a good impression at Lingfield last month and looks the type to go on to better things. A late stumble didn't help Mercy Mercy Me on hurdling debut, so it would come as no surprise if he were to get closer to the selection this time round. Darlac perhaps wasn't seen to best advantage in a Grade 2 at Cheltenham and remains open to improvement. Fifty Shades progressed steadily at a low level during the summer and there was no doubting he produced his best effort yet when second at Cheltenham in October without being seen to best effect. He may yet have more to offer and shades the vote. Mendip Express is likely to step up on his recent C&D comeback, whilst Knockanrawley also appeals from his reduced mark. Thistimenextyear found only one too good twice in maiden company last season and has since doubled his Flat tally. There should be plenty more to come from him in this sphere and he looks the way to go on handicap debut. My Brother and Shaw's Cross posted solid efforts last time and head the opposition.